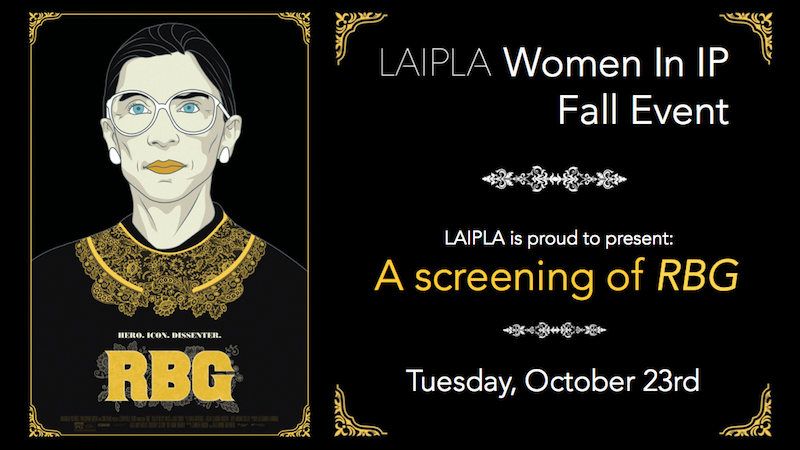 Please join the LAIPLA and Women in IP for a fun-filled evening celebrating U.S. Supreme Court Justice Ruth Bader Ginsburg. Cocktails will be served from 6-7pm courtesy of our cocktail sponsor Jones Day. 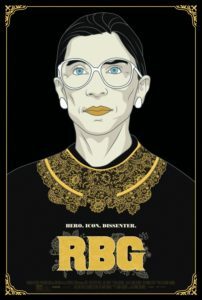 The event will also include a buffet dinner, movie snacks, networking and a screening of the RBG movie. The event is not specific to intellectual property law and is open to attorneys in all practice groups.